PBRRA was founded in 1904 and is the longest running referee’s association on the East Coast. We officiate all local Poverty Bay rugby competitions and various games around the country. PBRRA are dedicated to developing young, up and coming referees via interchanges to other districts and providing a potential career path. 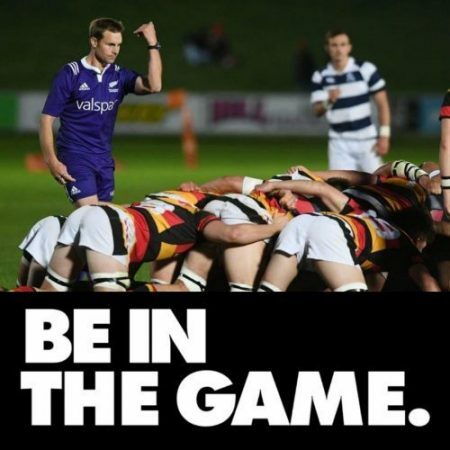 We have connections with Ngati-Porou East Coast, North Harbour, Bay of Plenty, Hawkes Bay and Wellington rugby referee’s associations. We also welcome and take the time to look after everyone at our association. We believe that refereeing is for anyone and everyone. Anyone from ex-players to people totally new to rugby are most welcome. Meetings are held at the PBRRA Clubrooms at More FM Rugby Park, 6pm Monday evenings. Rugby Smart: A compulsory workshop for ALL coaches and referees hosted by the PBRFU on behalf of New Zealand Rugby and ACC. This session includes the important safety aspects of the game and is a compulsory course for coaches and referees. Associate Referee: This course is for coaches at a Small Blacks level (U13 below) which allows them to referee their matches if a PBRFU referee hasn’t been appointed to a game. This is a foundations referee course and covers areas such as tackle/ruck, lineout, scrum and management. Blue Card: Referees who are involved in community rugby down to 1st XV will undergo Blue Card training before the start of the season. This gives referees the right to issue a Blue Card if they suspect a player has concussion. The PBRFU will then assist that player and the club with the return-to-play protocol.